The annual Heard Museum Guild Student Art Show & Sale supports the artwork of emerging artists, grades 7-12, in American Indian communities throughout the United States. Students compete for ribbons and cash prizes in 13 categories and two age divisions. The show provides the opportunity for students to exhibit and sell their artwork. The show features traditional and fine art – katsina dolls, pottery, baskets, jewelry, beadwork, weavings, paintings, and sculpture – as well as unique contemporary pieces in mixed mediums. In 2017, more than 500 pieces from dozens of American Indian communities, representing over 380 artists were exhibited. 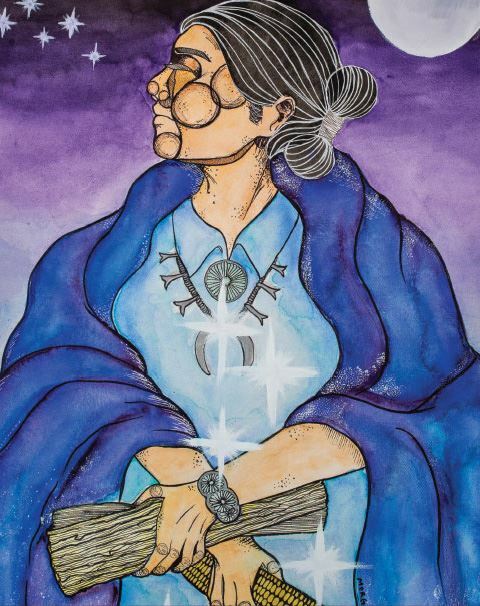 Notecards and prints are produced from images of selected student art shown in the sale and profits from the sale of these items support the Heard Museum Guild internship/scholarship program for American Indian college students and fund grants for teacher art supplies. Members Only: Friday, March 23 from 5:30 to 8 p.m.
Heard Museum members get the first chance to purchase art during the Members-Only Sale and Silent Auction Friday, March 23. The Members-Only Sale and Silent Auction will be held from 5:30 to 8 p.m.
Not a member? Visit http://heard.org/support/membership/ for information on membership. Friday, March 23, (preview- no sales) 10 a.m. to 3 p.m.
*Student artists are encouraged to attend. Saturday, March 24, 10 a.m. to 4 p.m.
Sunday, March 25, 11 a.m. to 4 p.m.
Monday, March 26, 10 a.m. to 4 p.m.